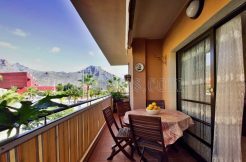 The price of second-hand housing in the Canary Islands has risen 2% in the third quarter to drop the price per square meter in 1,337 euros, placing the archipelago as the second CCAA, after Catalonia, where more has increased according to the latest price index idealista. By provinces, the two Canarian have lived bullish behavior in their prices: rose 1.7% in the case of Las Palmas and 2.5% in Santa Cruz de Tenerife. As the municipalities of Las Palmas is concerned, the highest increase is registered in Arrecife, where the owners have increased their expectations by 7%. They followed far behind increases in Santa Lucía de Tirajana (4%), Telde and Puerto del Rosario (3.2% in both cases). By contrast, in Las Palmas prices have fallen by 1.4%. The largest drop is registered in Puerto del Carmen (-3.1%). 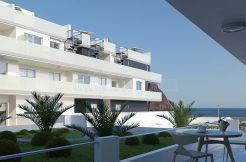 Also, San Bartolome de Tirajana is the most exclusive market: its 2,037 euros / m2 mark the roof of the islands, while the cheapest is Las Palmas Puerto del Rosario and 932 euros / m2. Meanwhile, in the municipalities of the province of Santa Cruz de Tenerife the price has dropped only in 4 markets. The largest decline occurred in the capital. The owners of Santa Cruz de Tenerife have declined 6.4% during the summer expectations. Are behind Candelaria falls (-2.9%), Santiago del Teide (-0.6%) and Los Llanos (-0.2%). Meanwhile, on the opposite side they are St. Ursula (6.8%), Los Realejos (6.4%) and Oratava (4.6%). The most expensive market in the province is Adeje (1,985 euros / m2) and cheap La Oratava (1,045 euros / m2). Meanwhile, in the whole of Spain, the price of used housing marks a slight rise of 0.1% in the third quarter of 2016, with a cost per square meter in 1,533 euros. “The report data reflect better than ever the two speeds at which it is moving the industry” says the head teacher of this website, Fernando Encinar, alluding to the fact that the housing market alive. While half the market experienced a price increase in the other half is reduced. “A tension that causes the price to national level is practically stagnant” argues Encinar. Barcelona leads increases with an increase of 3.8% and accumulates a rise in house prices of 24% since this touched ground after the bubble burst. Valencia followed with a 1.9% incrento, Madrid (1.3%) and Malaga (0.3%). In contrast, the largest decline is registered in Zaragoza, with a contraction of 1.3%, followed by Valladolid (-1.2%), Bilbao (-0.3%) and Seville (-0.1%). Per square meter, the index puts San Sebastian as the most expensive Spanish capital. Specifically, the price per square meter in the city of San Sebastian is located in the third quarter at 3,914 euros, followed by Barcelona, whose cost amounted to 3,667 euros per square meter and Madrid 2,902 euros per square meter. Lleida is positioned as the economic capital at a price of 878 euros per square meter. In this context, since Idealistic they ensure that there are other factors that influence more directly on market dynamism that price developments. “The uncertainty created by the elections is a brake on house sales” notes Encinar. The market moves at two speeds, which has resulted in cities like Valencia price has increased during the third quarter by 8.1%, followed by Madrid, where the increase was 7.7%. In contrast other municipalities as Bilbao, Valladolid and Zaragoza, which continue to set minimum prices are. By region, the biggest increase in house prices has occurred in Catalonia, where landlords require 2.6% more for their property than three months ago, followed by the Canary Islands, where housing has scored a rise of 2%. The largest decline occurred in Extremadura, with a contraction of 1.6% from June to September, followed by Aragon (-1.5%) and Cantabria (-1.3%). Per square meter, Basque Country leads the ranking of most expensive autonomy. Specifically, the price per square meter stands at 2,498 euros, ahead of Madrid with a cost of 2,368 euros. On the opposite side of the table is Castilla La Mancha, which records a price of 907 euros per square meter.